to me in the way that it did to others, but I saw a lot of myself in the title character. I wasn't fat or even that smart but I was in a similar minority: I was, and still am, a film geek. When you are a film geek in high school you have to do through many of the trial and tribulations that our hero Angus had to go through in this movie. 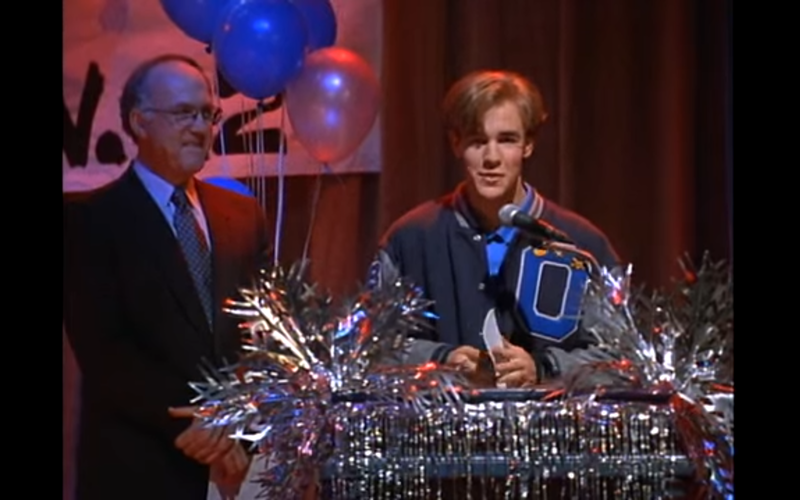 He's a science geek and pours over his project to get into Jefferson, which I guess is a school for the really smart. The winter dance is coming up at Angus' school and as a prank he is voted the king of the dance. I guess its kind of like Lord of the Dance except Angus doesn't have to dance around like a fairy in tight pants. Angus has a good support team at home. His mother, played by Kathy Bates, is a tough talking truck driver who wants what's best for her son. We know that she is a truck driver because Angus tells us this in his narration and there is a big rig parked in the driveway at all times. Not only that but she can arm wrestle too. This got me to thinking: Did she ever have to arm wrestle Stallone like in Over the Top? Angus has a grandfather who lives with him, played by George C. Scott. 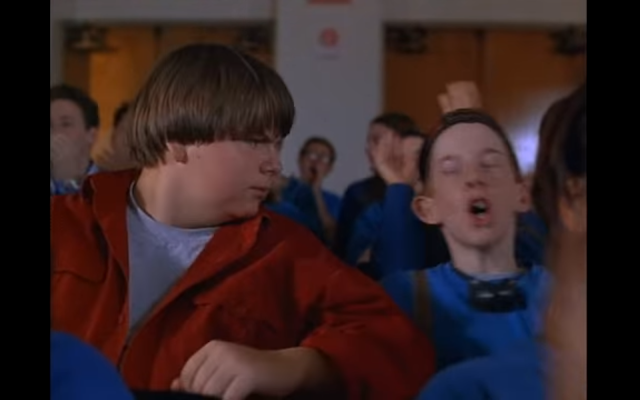 He and Angus argue over what it is to be normal and it always ends with Scott saying "Screw 'em". Scott is a long ways from his days as Patton, but still holds that same tough guyness. The movie follows all the basic high school movie cliches, but unlike a lot of high school movies, this one is sweet and touching. Angus isn't trying to get laid or even become popular. 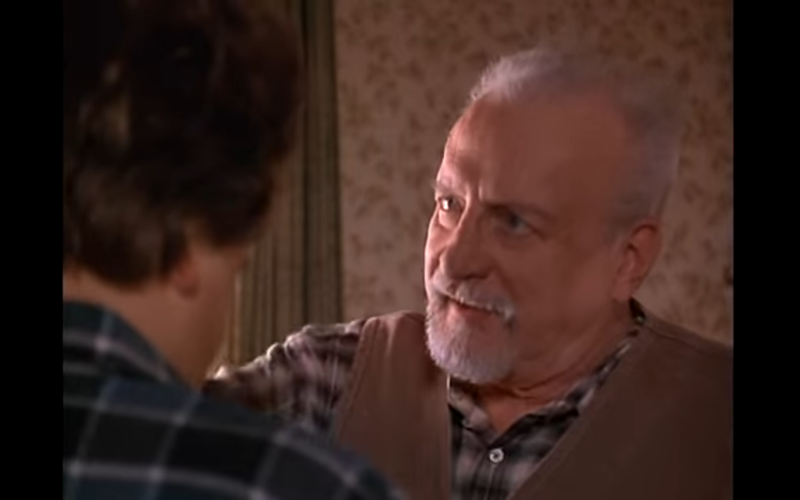 He just wants to muster up the courage to even talk to the Jurassic Park girl, which he has never done. As I had said before, I am a film geek. My geekness started when I was very young and by the time I got into high school, it was a fully grown geekness. I would write any type of research paper on movies. I was the head of the film club, introducing my peers to the wonders of Kurosawa, Godzilla, and the Shaw Brothers. I was always reading up on film and talking about with whoever would listen. Much like Angus, I would get picked on because of my interests. I would sit in the back of the classroom and write about film constantly. Instead of being on the football team I would watch movies. This did not please the jocks and I was considered gay because of my love of movies. I believe that this is why Angus was an important film during my high school years. Looking at the movie fifteen years later I have found that the movie seems to be smaller than it should be. Scenes play out very oddly and the pacing seems a bit off. Doing some research, I found out that the movie was severely cut before its release. The studio releasing it found that the movie ran too long and many scenes were lifted out. This makes sense when you watch the movie again. 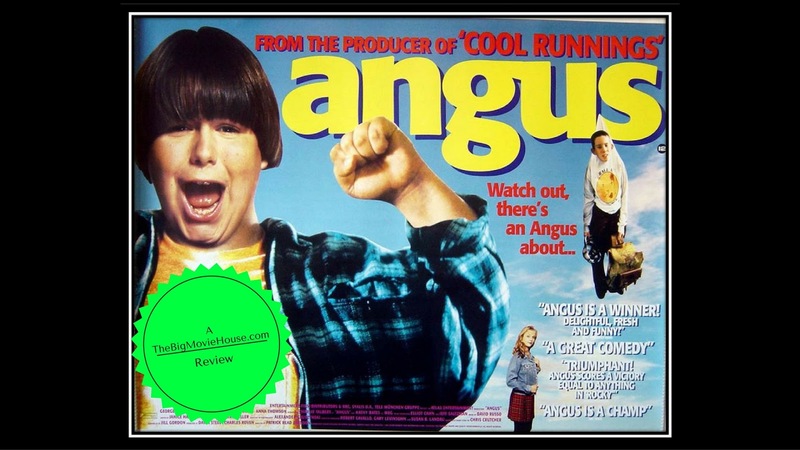 Angus is one of the few beloved movies that has yet to see a proper dvd release. The movie is available through Warner Brothers' On Demand service, but it's just not the same. They put the movie onto a dvd-r. Just feels fake to me. Why do we get all of this straight to dvd crap when a perfectly good movie gets forgotten about. 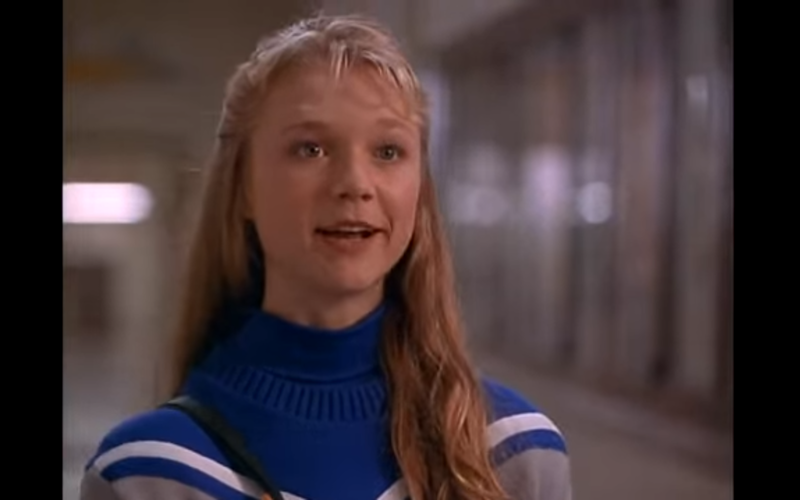 The movie does show up on tv now and then and when it does you owe it to yourself to check it out. It is a good hearted movie that is sorely being missed by the people who it would benefit.